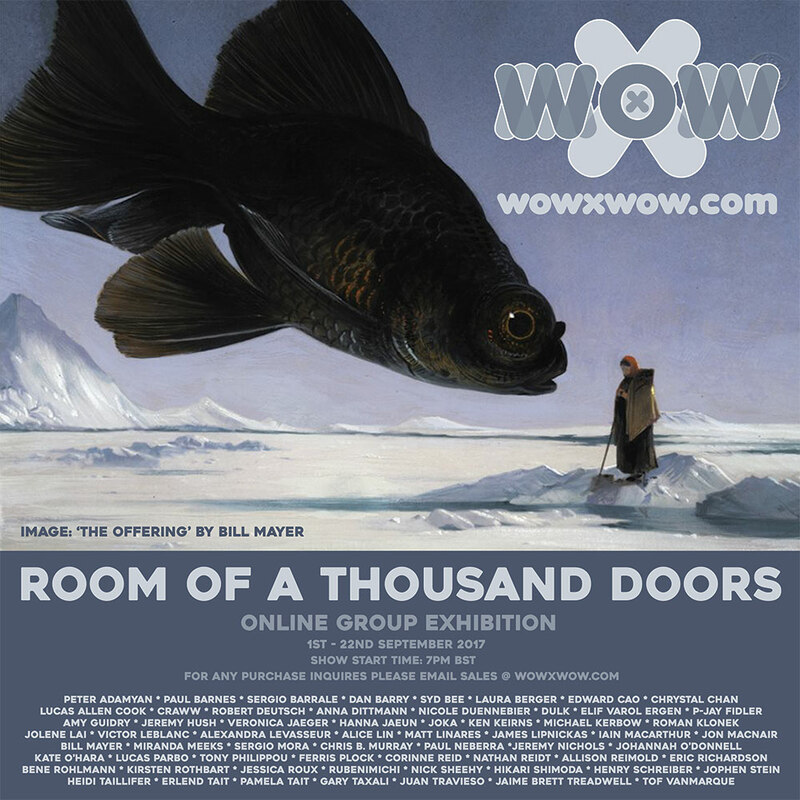 I have some small works in the latest WOW x WOW online group show, Room of a Thousand Doors. The show has an amazing and lengthy line-up! Check out the online preview. Contact the gallery for purchase info. I'm very happy to be exhibiting 5 new pieces as part of a mini feature exhibition at Arch Enemy Arts in Philadelphia. Email archenemyarts@gmail.com to jump on the preview list for the show. I'm contributing two original artworks to the Moments In Monochrome group exhibition at Nucleus Portland on March 25th. Amy Earles, Armando Veve, Ben Tolman, Chad Eaton, Dina Brodsky, Valerie Lueth, and Nick Sheehy (me). 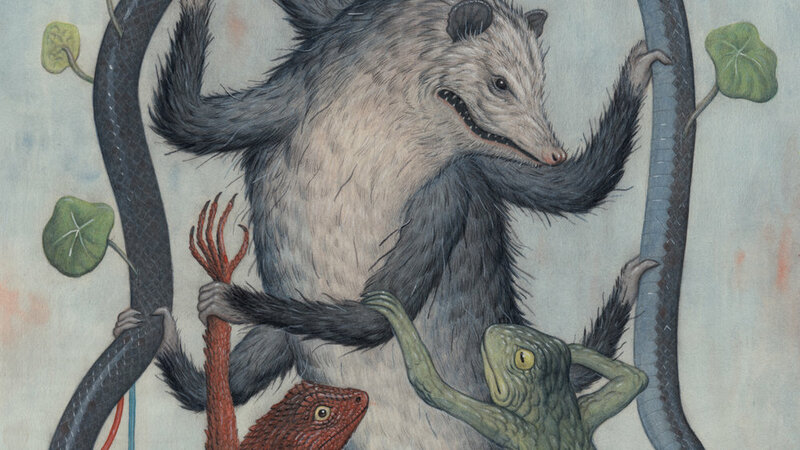 I'm happy to announce that I have a new limited edition giclee print of Frog Bird Snake, lovingly printed by the fine folk at thepeoplesprintshop.com in Berkeley, California. The print measures 12" x 12" and comes hand-numbered with an edition size of 40. Custom framing options are also available. To celebrate the physical release of the JODOROWSKY'S DUNE documentary, French independent company Blaq Out are releasing a special book to accompany the collectors' edition of the DVD. There will also be an exhibition showcasing the artwork at French Paper Gallery in Paris, running from 29th November to 6th December 2016. For updates, please visit the JODOROWSKY'S DUNE Exhibition Facebook page. The book brings together a multitude of artist and illustrators (including myself) from Sci-Fi and beyond, each asked to produce a piece of art that proposes their own unique vision of DUNE, or the legend behind the failed project. "The idea and theme for the illustrations are, like Moebius, Jodorowsky, Giger, Foss and others in their time, to propose a vision of the universe of Dune, ... explore the fantasy that represents the projects with all these people working together, ... and what it evokes in the collective unconscious." I'll be contributing a piece for Arch Enemy Art's The Comfort of Stars exhibition, opening in Philadelphia October 7th - 29th, 2016. The exhibition takes a science-fiction approach in addressing our place in the universe, exploring themes of vastness, loneliness, isolation, adventure, connected-ness, and parallel lives. For purchasing information and availability, email archenemyarts@gmail.com or visit archenemyarts.com/contact-us. 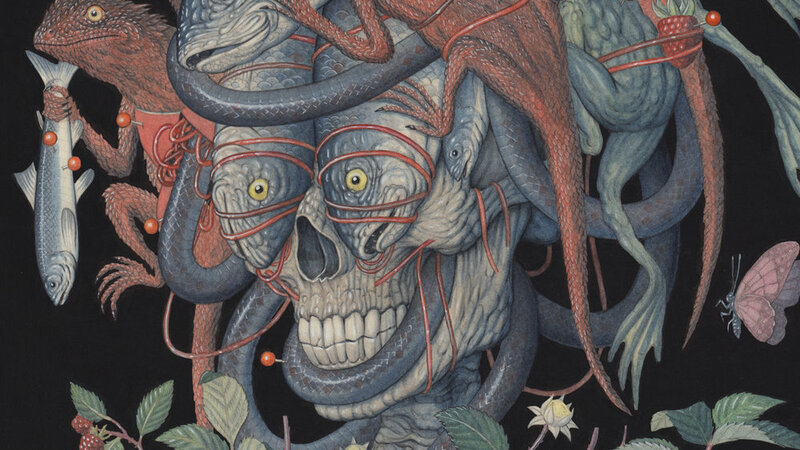 Chris Mars, Naoto Hattori, Julie Filipenko, RELM, Scott Listfield, Happy D, Richard J Oliver, Dave Correia, Ania Tomicka, Erich J Moffitt, Veks Van Hillik, 100Taur, Chris Leib, Nick Sheehy, Jason Blake, and JoKa. I've contributed a piece to the Imaginary Menagerie 4 exhibition at Arch Enemy Arts in Philadelphia. The show opens Friday 2nd September 2016. Each particpating artist was invited to choose one of their favorite mythical creatures/beasts to re-imagine and interpret. My piece centered around a blurry interpretation of the Kappa. At first I wanted to draw a literal interpretation, but everything I did looked like dodgy 80s fantasy movie fan art. 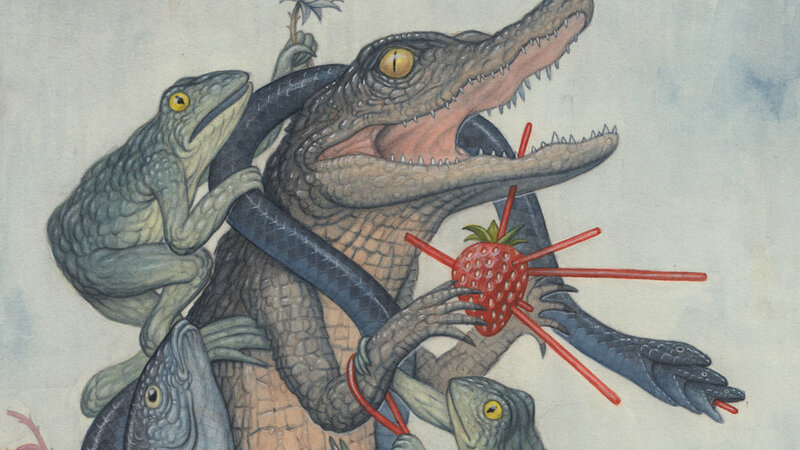 So instead I looked into the possible genesis of the myth. I came across mentions of Giant Japanese Salamanders; the gifting/offering of fish; a diet of frogs; etc. I've recently opened an online clothing shop, offering tshirts, hoodies, pullovers, etc. Go to nicksheehy.threadless.com. Manufactured and printed, and fullfilled by threadless.com (primarily in the US). All products are 100% Cotton (heather grey contains 20-50% polyester). Zip-Up Hoodies, Pullover Hoodies are 51% Cotton and 49% Polyester. Thanks to everyone who has already ordered!